So you went and used all of your resources to build Pikemen and Paladins in massive numbers and you even got to high enough a level that you can procure yourself Seekers and Pathfinders … but now you’re wondering why you cannot seem to overcome ever larger forces with what seems like a great offensive army. Enter the Hero, fellow Lords and Ladies! When you want to get the job done offensively by using easily produced base units such as Pikemen, you want the Legendary Hero unit. Beacons of hope and super-human valour are what we need to conquer the lands of Stormfall indeed! 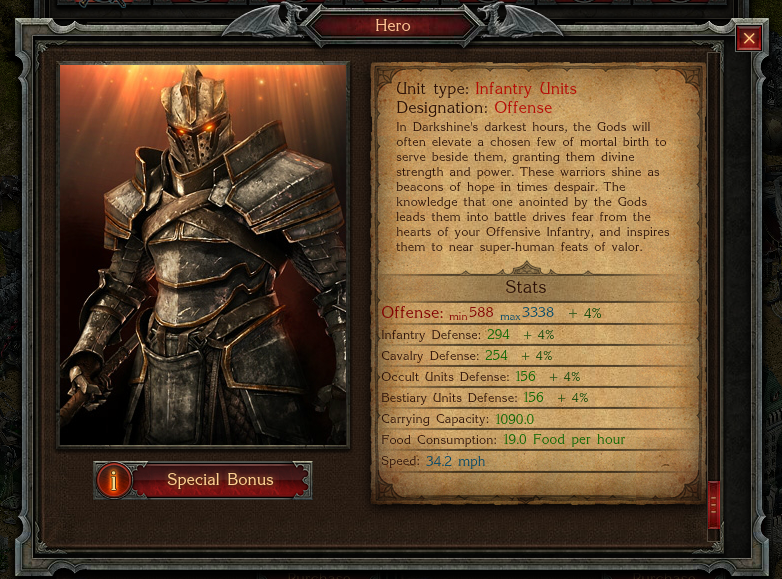 Plarium says: “Legendary Units enhance your regular units’ performance several times over. Any Legendary Unit dispatched with a full group of supporting units of its class is a formidable force indeed”. This means that your Legendary Unit “powers-up” the capability of the supporting units fighting alongside it in battle. 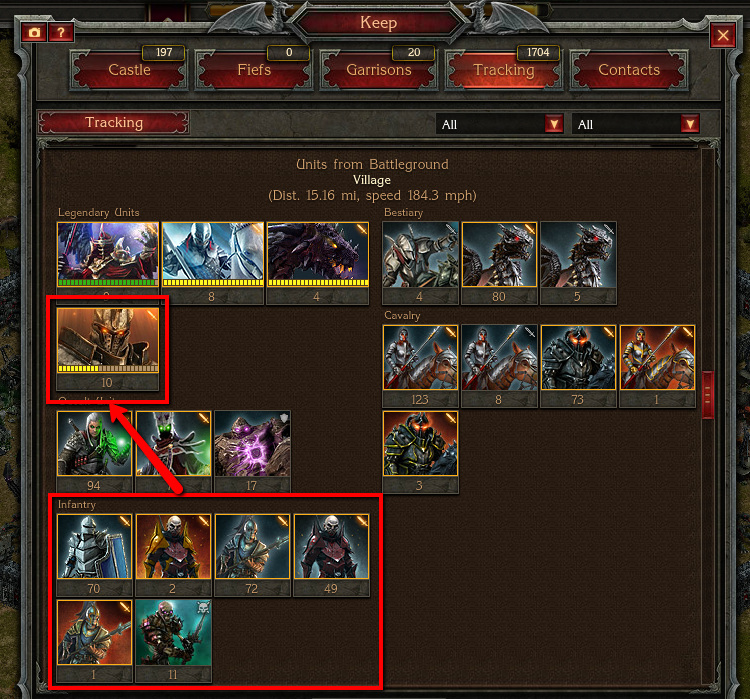 As you can see from the following screen shots, the Infantry Units receive a massive bonus of anything from +28 for Pikemen to +55 for Pathfinders – not bad if you were to add 50 units to 1 Hero, which gives you up to +2,750 offensive points as a bonus! The Black Market sells Legendary Units – get your army to full capability now! Use your Hero for all offensive actions. A hero is going to add the ‘G’ to Grunt and the ‘V’ to victory – this is the force multiplier a Lord or Lady needs for offensive action. Legendary units as a class enable the developing Lord or Lady to catapult themselves into being a serious contender and start to climb the leader board for weekly results and rewards. Having this capability also wards off those other players who might otherwise have designs on besieging your Castle. 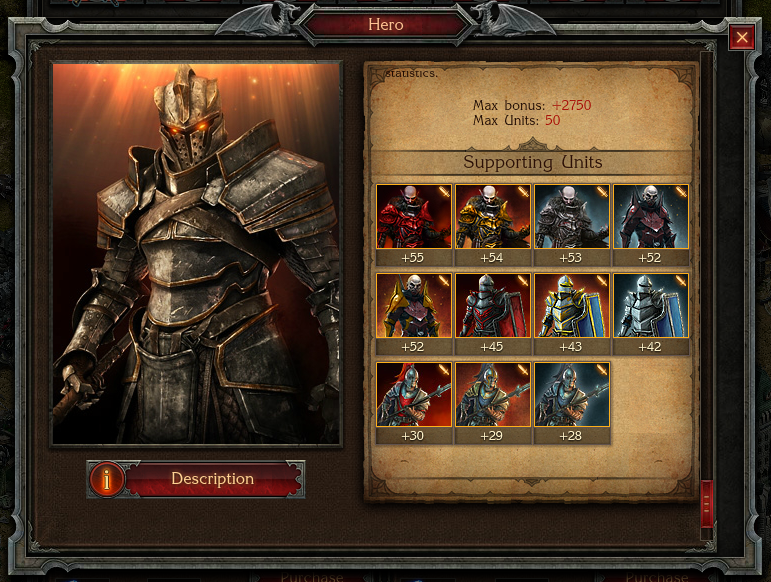 Let’s face it: if you don’t have Legendary Units, then you are going to find it tough in Stormfall. It takes you longer to produce low level Infantry units and they have less effect without this capability. Add a Legendary Unit and then these standard Units actually start getting you somewhere in the game and enable bigger and better offensive and defensive action overall … and scares the hell out of your opponents! One word of caution: save these big guns for fighting other players – you might not want to risk using them on Battlefields. In the screen shot below you can see the positive effect each supporting unit is given by your Hero, in this case the Hero is in the Yellow Level and could do with more Infantry Units attached to it in order to reach the maximum Green level, such as The Fallen units in this example, that is preferred for maximum effect! You might be lucky and earn a Hero through missions etc; however to be fair, this is a Coiners paradise and how the Coiners get the advantage unfortunately. So the best way for the average player is to jump over to your Black Market way and do some micro-transactions! Keep in mind that these legendary classes of units are worth the coin.